Hi all my friends and followers. Welcome to my weekly magazine, if you can call it that, he he. This week since I've cultivated a lot of new followers and friends, I thought I'd talk a bit about what this site is all about -- me. Well, not really all about me. 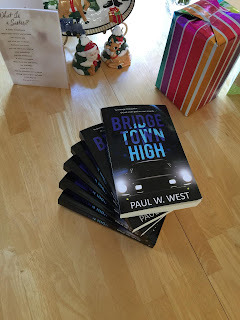 More about my novel "Bridgetown High" where readers can find out more about me and "Bridgetown High" and also about what is going on in my writing life. By the way, would you like a free kindle copy of my book? Read on for more details. Maybe some of you aren't aware that my novel is set in the towns I grew up in. If you are familiar with the San Francisco Bay Area, you might be familiar with the towns of Crockett, Port Costa, and Rodeo. 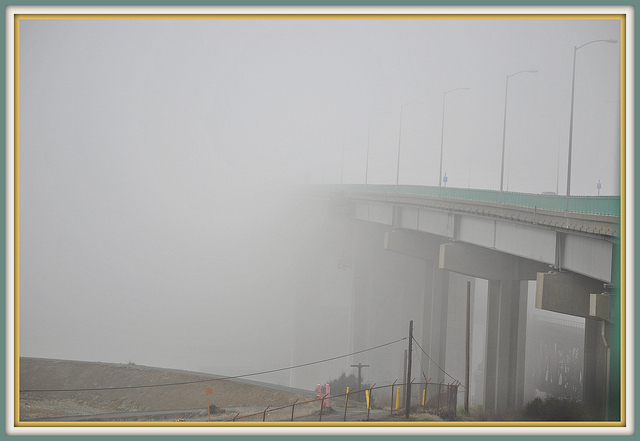 If you're not familiar with those towns, maybe you have heard of Vallejo. It's just north of those three towns, across the Carquinez Straits. The story is set in those three towns and in particular the high school where kids from those town go to school. 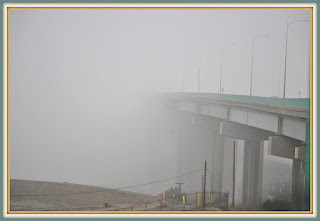 If you've read the back cover page of "Bridgetown High" you'll recognize this setting, particularly the Carquinez Bridge where so much of the tragedies depicted in the book take place. Here is a short synopsis of the book. If you want to find the answers to those story questions, come to my Amazon page and order a copy of my book. 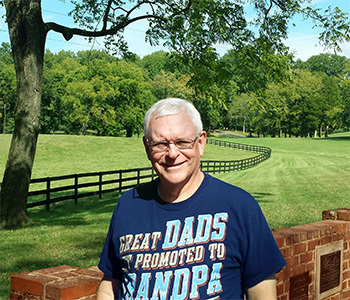 It's really a fun read, and has gotten several great reviews. If you are willing to write a review, let me know and I can give you a free electronic Kindle copy. Today I thought the first thing I want to do is differentiate between "writer" and "author." Maybe you all know this all ready, but just to be sure, an "author" is a published "writer." Now, in my mind, I struggle with what constitutes "published?" There are those who are self-published and those who are published by a traditional publishing company, I'll leave that question up to you. OK, now back to this week's lesson. Before I do that, I need to ask, is there any aspect to writing fiction you would like me to cover? Let me know in the comments below. Now, back to my subjects from Dean Koontz. I've touched on some of the eight things he thinks the average reader demands of a novel: "1) a strong plot; 2) a great deal of action; 3) a hero or a heroine or both; 4) colorful, imaginative and convincing characterizations; 5) clear, believable character motivations; 6) well-drawn backgrounds; 7) at least some familiarity with the rules of English grammar and syntax -- the more familiarity the better, of course; 8)a style which embodies at least a trace of lyrical language and as many striking images as possible, for good writing is always vivid and visual." I think I've covered #1 #2 and #3 pretty well. So, I'll try to cover #4. In my novel "Bridgetown High." I think my most colorful character is the antagonist, Jeff Marino. He's a scumbag, for sure. He loves to drink and he is addicted to his smokes. He absolutely hates the protagonist, Mark Wilkerson, because Mark won their love interest, Genie Lombardi, away from him. Jeff goes to great lengths to win Genie back, all to no avail. When his best friend dies, Jeff becomes real to the reader as he mourns over him, and as I wrote that scene, I even felt bad for him. I think Jeff is the most well-drawn character in my book. If you haven't yet, you need to get a copy of Bridgetown High and see what I mean. When creating characters, don't hesitate to develop him/her as fully as you can. So, good luck with your writing. And if you have something you'd like me to cover, please ask. I can't promise I can answer everything, but I'll try. And, until next week, as always, if you like this blog, please "Share" and "Like"it on Facebook , and "Re-tweet" it on Twitter. 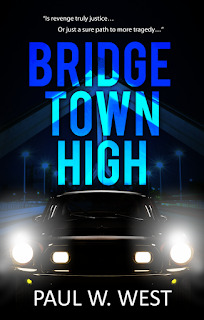 Then PLEASE, take five minutes to write a review of "Bridgetown High" and post it on my author page at Amazon. Hi Gang. Welcome to today's bit of wisdom. Well, if you don't agree with the wisdom part, at least welcome to my blog, he he. Today, I thought I'd talk about the importance of having a story question from page 1. I just started reading a murder mystery novel by Kim Smith, a good friend of mine. Her novel is called Disk of Death. She has come a long way in her writing from when worked together in my critique group -- now defunct. Like I said last week, she begins her book of with the main character, Shannon Wallace, into some terrible trouble (you'll have to read the book to find out what that terrible trouble is). Then, the story question. How is she going to cope with her new life's situation. Then as she tries to cope, the trouble only gets worse and the reader wonders (story question) how can things get worse? That is a good example of what I was talking (writing) about last week, and Kim does it well. So, make sure when you begin your novel that you follow that example. Otherwise, you'll loose your reader before they get to the bottom of page 1.
agents and/or editors by next year (oh, and by the way, I have no idea where this photo came from, so I hope the person who posted it on Facebook won't be too upset). Good afternoon, all my family and friends. Today, I thought I'd talk about a different aspect of writing -- beginner's faux pas. Recently, I have been purposely reading books by self-published authors. I'm doing that in an effort to find good, well written, literature. Frankly, I'm not having much success. I recently joined a web-based book review site in hopes they might review my novel, "Bridgetown High." I really need reviews on Amazon and thought this site may provide one or more (preferably more). I volunteered to do some reviewing in return. Almost all of these books by self-published authors (and I'm using that term "authors" loosely) begin with a huge info dump, all the background, on the first two or three pages. Then they SCREAM "Look Ma, I c'n rite." The books are full of misspelled words and punctuation errors. Then, as I read on, the story lines do tend to be well thought out, and somewhat entertaining, but there are always inconsistencies that drive me crazy, making the read not as enjoyable as I expect. For example, in the book I'm currently reviewing, the main character says she's 14 years old. Then, in a later chapter she says she's been doing something (I won't say what to not give it away) for two years, making her 16. Then she goes back to having the girl be 14 again. Near the beginning she gives her life's story, thus far, which goes pretty smooth. However, she gives that same story at least 3 other times - boooorrrrriiiinnnnngggg. I don't mean to be critical, but I'm trying to warn you, regardless of how you want to be published, self or traditional, don't do what this lady, and many others like her, have done. Get a good editor, beta reader, or at least a good critique group. I believe you can be successful which ever route you choose, but get the professional help you need. Keep that in mind when you are writing your best selling fiction. And, until next week, as always, if you like this blog, please "Share" and "Like"it on Facebook , and "Retweet" it on Twitter. Then PLEASE, take five minutes to write a review of "Bridgetown High" and post it on my author page on Amazon. Today I thought I'd write a bit more I'm extracting from Dean Koontz's book, "How to Write Best Selling Fiction." He suggests "The average reader demands eight things of a novel:" and he proceeds to list them. One that I think is paramount he lists as second in his list: "a great deal of action." Have you ever read a book that just makes your eyes glaze over and instead of "I couldn't put it down," you say "I couldn't keep from putting it down." I recently read a book like that. It's written by a great, self published, author that I admire. But one of her books just put me to sleep and after about 10 chapters of boredom I had to give it up. I may take it up again if I find nothing else to read. Some books are so filled with internal dialog (thoughts) that nothing ever gets accomplished. If you want to write a best selling book, it's got to have some action, or as Dean Koontz said, "... a great deal of action." In my novel "Bridgetown High," I tried to put some action, if only in dialog, into every scene. I also read a "how too" book by Jack M. Bickham. The title of his book is "Scene and Structure." If I only got one thing from his advice it's that for every scene, such as a fight, argument, chase scene, etc., you need to have a sequel to unwind, so to speak. He calls that "Strucure." He explainns, "Structure is nothing more than a way of looking at your story material so that it's organized in a way that's both logical and dramatic." And that brings up another subject for another day (logic). 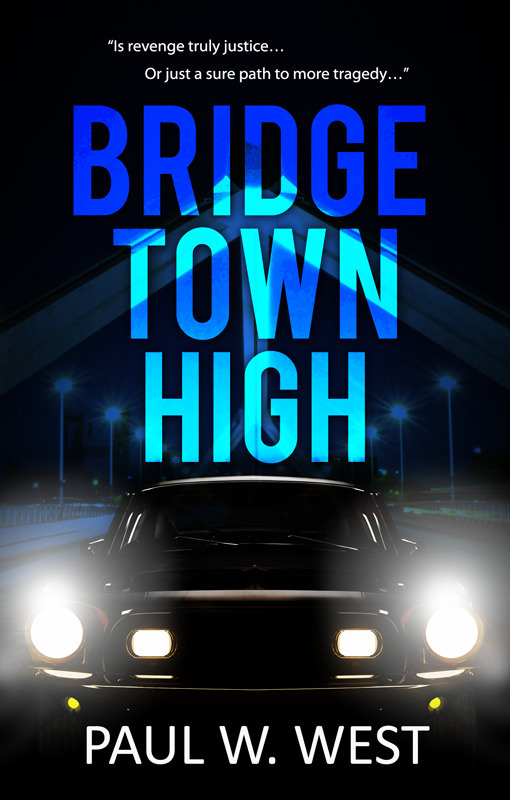 So, I wrote "Bridgetown High" with both ideas in mind, action and structure.